Water damage can occur for many different reasons, but no matter what the issue, homeowners in Franklin know they can call 911 Restoration of Middle Tennessee to come cleanup the damage, anytime of the day or night. When pressure builds up in your plumbing it can cause a pipe burst, pumping water into your drywall. Sometimes storms can damage your roof, causing rain leaks. 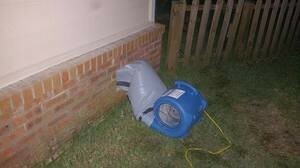 Old appliances can break down, resulting in ruptured hoses, which can then lead to flooding the home. We are available 24/7/365 and are guaranteed to respond within 45 minutes, so you never have to wait long for our Franklin flood cleanup crews. We always use the latest drying technology for quick and thorough water extractions. We are IICRC certified to administer all disaster restoration services, no matter how bad the emergency. Our Franklin water mitigation professionals have over 35 years of experience providing the best water extractions at the most competitive prices in the industry. We conduct free home estimates to make sure we inspect the entire scope of the damage, so we know exactly what to do before we begin renovating your home. This allows for everyone to understand the magnitude of the situation, limiting any surprises that might pop up down the line. The Franklin flood cleanup techs check for mold in the vicinity of any excess moisture by preforming free visual mold inspections. When it comes to water, we don’t want to take any chances, so we always provide same day services. Our goal is to get your home safe again in a timely manner, so you can comfortable live in your household again. We can handle all your drying and clean up needs by using advanced drying technology that allows water to be pumped out of your home in large quantities. 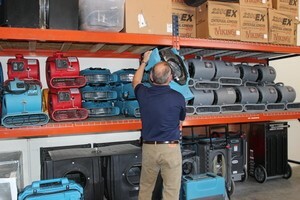 The Franklin water damage restoration agents are expertly trained in implementing the most innovative water removal techniques. Not only do we have the equipment necessary to clean up the water damage, but we have the knowledge to help you with your insurance as well. Understanding your homeowners’ insurance can be tricky, so we make sure to work with you closely to help you file your claim, getting you the lowest deductible possible. We will submit all of your paperwork and communicate with your insurance agents until you get your coverage handled, because we want to make sure you are taken care of on all ends. 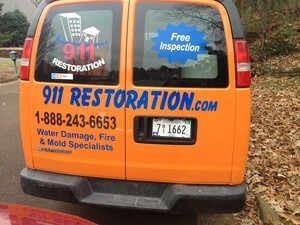 When your property floods, call our water damage Franklin extraction crew with 911 Restoration Middle Tennessee for water damage services from the best in the industry today!